I’ve almost finished week one of Knit Purl Hunter’s mystery KAL- Unleashed. They are convertible mitts. 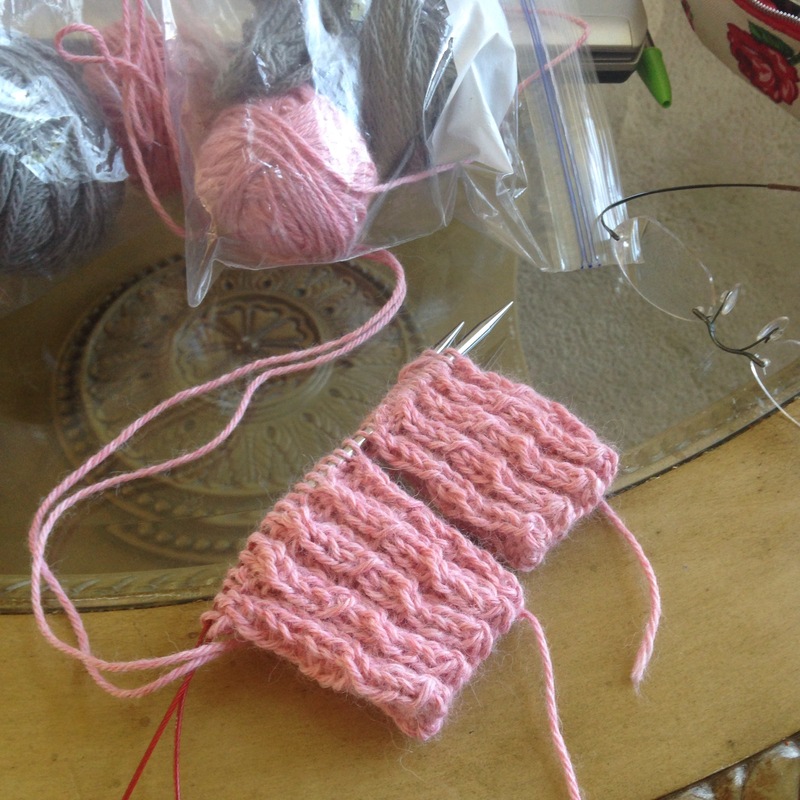 You know … Fingerless Mitts with a little flap on the end you can slip into place to turn them into mittens! I’m knitting mine two at a time on a 40″ circular needle using the magic loop method. This way when I’m done, I’m done! And both mitts will be the same size. My tension and gauge are all over the place because of Omar (my chronic pain) so I have difficulty getting the same size gloves, socks, etc. twice. Magic Loop to the rescue. Very nice! I wanted to try that KAL, but things are way too busy right now. It would be one more thing that I couldn’t finish! Ha! Still working on my hubby’s sweater that I started in 1993 – goal to finish it by the end of this year! Trying to stay focused. 🙂 I’ll live vicariously through your photos and posts for now. 😉 Have fun!